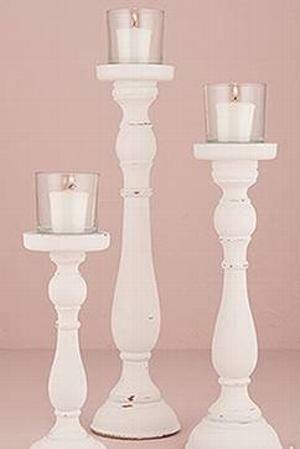 9583 - This set of candle holders features a shabby chic style, glass votives and three varied heights. Place all three together for an elegant centrepiece or space them out to provide a little light along each table. H 27 cm|H 37 cm|H 47 cm. Candles sold separately.